I decided to spend this year working on the New England Hundred Highest list as I recently finished the New England 67 peaks. Those peaks count toward this list so I don’t have a ton to do, especially since I have done a few of the NEHH peaks before. I had the day off because it was Good Friday so I took advantage of it and headed North! What better time to do a bushwhack then in late April? 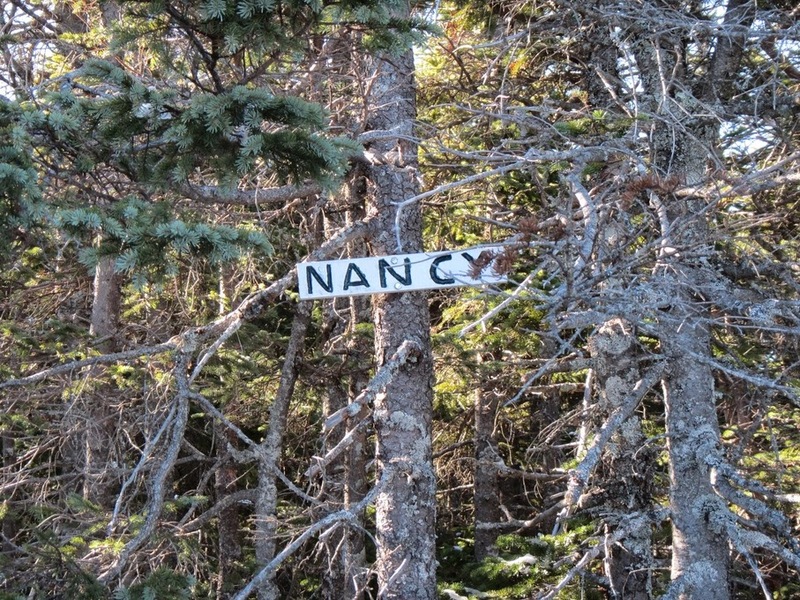 The Nancy Pond Trailhead is less than two miles from Sawyer River Road on the left side of 302. As soon as I arrived at the trailhead I knew it would be an interesting hike. The mucky puddle with snow at that elevation was evidence that I would need a variety of gear. At the base, it was in the high 30s, but I would need some winter gear like snowshoes. The crossings were very difficult due to the amount of snow melt. Each time I had to carefully evaluate the route I would take and sometimes have to trace my steps. Accompanying the raging water was ice covered rocks. It was a fun challenge! The first two miles of the hike are moderate because it is an old logging road and will be easy when the snow melts. As of now, you have to content with soft snow, monorail hiking, and mud. After the trail begins to climb steadily, with one very steep section in the middle. The trail conditions were not ideal in any sense, but the weather was amazing. I enjoyed blue skies and the slightest breeze. After I entered the Nancy Brook camping area, I stumbled upon some bear tracks. I was hiking solo so I walked along quietly, unsure if I would see a bear. Unfortunately I didn’t, but the prints were huge! I wore my trail runners and had my snowshoes on for part of the hike. I didn’t want to wear them for the crossings and at times I postholed. We’ll need a few more weeks for the snow to melt. There was a lot of interesting ice formations hiking between the rocks. Though Mount Nancy is wooded, the views from Nancy Pond and Norcross Pond are spectacular! Soon after Norcross Pond, there is a sign for an “unmaintained path”. I have only done a few bushwhacks, but this was definitely one of the easiest paths to find. The ‘whack is more of a herd path, being not too difficult to follow. On the walk out, I spotted the remains of “Lucy’s Mill”. Mount Nancy is definitely a hike I’d recommend to those looking to do something a little different. I will probably take a hike out to the ponds and back in the summer. While Mt Nancy is not a 4k, it sits just below the magic number at 3,926 feet, but has a gain of just over 3,000 feet!